House in Frogs Hollow featured in Architectural Record: All in the Details | Williamson Williamson Inc. 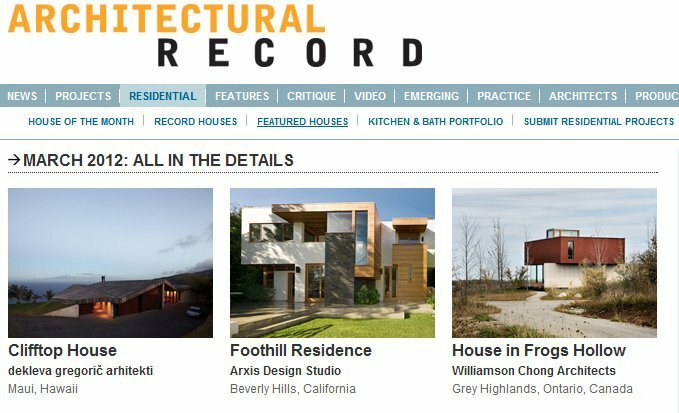 The House in Frogs Hollow has been included in Architectural Record’s March 2012 “All in the Details” section of featured houses. Special thanks to Alex Bozikovic for the write-up.